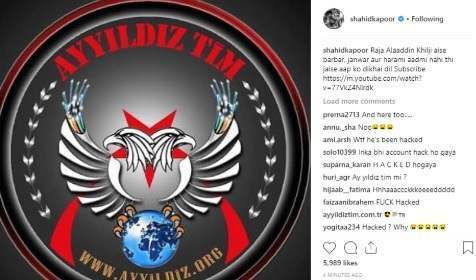 Shahid Kapoor’s Twitter and Instagram was apparently hacked by a Turkish hacker group. Post this, provocative videos and messages were shared in clarifying the role of Khilji in the movie, ‘ Padmaavat’. 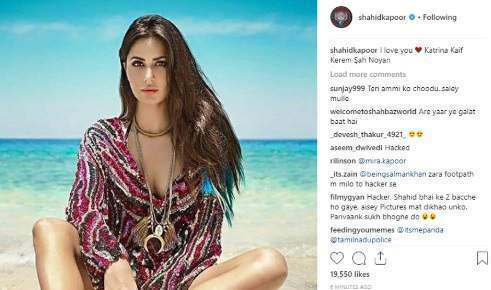 The tweet posted by the hacker read, “Raja Alaaddin Khilji aise barbar, janwar aur harami aadmi nahi thi jaise aap ko dikhai di!” The hacker even shared a photo of actress Katrina Kaif on Shahid’s account with an ‘I LOVE YOU’ message. Here’s a good news for you all – Shahid Kapoor welcomed his second child, a baby boy, with wife Mira Rajput on Wednesday evening. Earlier today, Shahid along with his little munchkin Misha was spotted outside Hinduja hospital. On the professional front, Shahid is gearing up for his upcoming release Batti Gul Meter Chalu, co-starring Shraddha Kapoor and Yami Gautam.